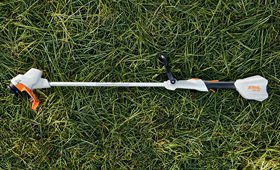 Work powerfully and precisely with the COMPACT battery grass trimmer from STIHL. It's lightweight design makes it easy to handle. The neighbours will be happy too, since the FSA 56 is designed for power, not high volume.